Here is a photo of me dancing at the Animal Companions Christmas party last week. There were 40 new dog mates to greet and meet and I found a table full of yummy ham rolls and salad. How did i know they were yummy? (Here is where I start to blush). Well, I was actually a bit naughty. As you know I am a Maltese Shih Tsu so I’m a little height impaired. “Tick, tick , tick, went my little brain cells (the smell of meat is a good neuro driver). I looked around for one of my new friends – a very tall retriever caught my eye. We had a brief chat and made a bargain. He had no trouble leaping up, grabbing the plate and chucking ham rolls everywhere. I must say though, I had to eat very very fast because he was a real gobbled gook! Life is unique and must be cared for. • And terms and conditions apply for maintenance! Pope Francis – “Dogs can meet their humans in heaven” That means dogs have souls. 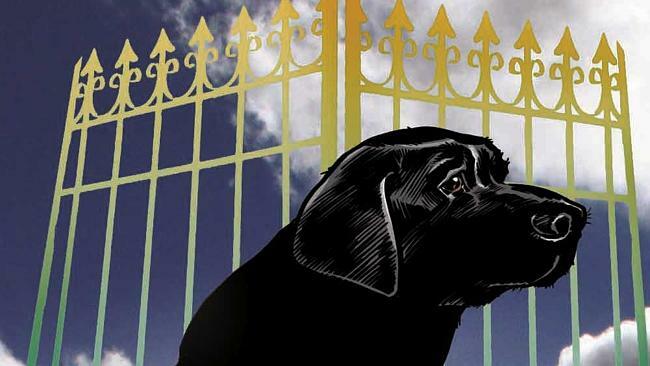 Dogs no longer have to wait at Rainbow Bridge for their humans. Courtesy of Pope Francis, from today, they can enter the gates of heaven directly! Revelation … Pope Francis has pleased many by saying our four-legged friends go to heaven as well. at he would see his beloved canine again in heaven. “Paradise is open to all of God’s creatures,” he said, according to Italian news sources. Animal groups such as the Humane Society are delighted.